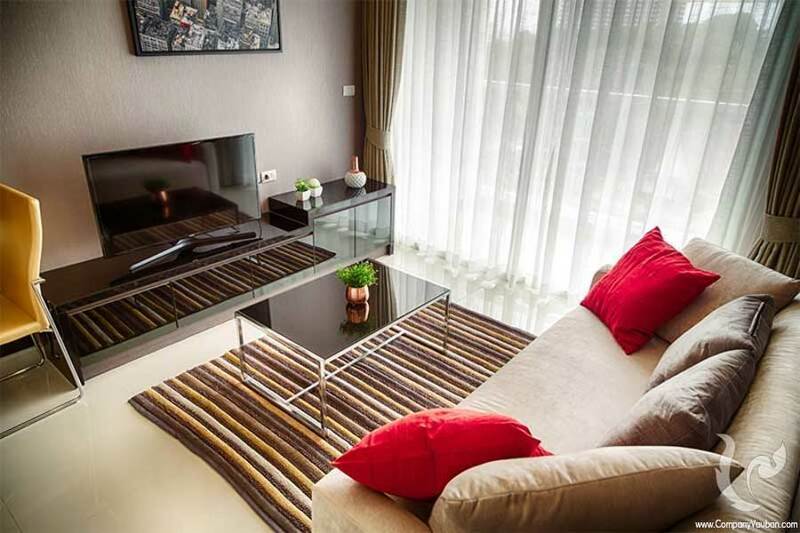 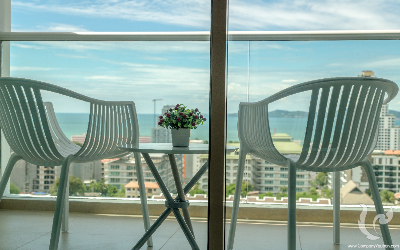 Beautiful 38.5sqm apartment composed by a well designed living room with a fully equipped kitchen, a dining area, a comfortable relaxing area with a sofa and a flat screen TV as well as big windows opening on a large balcony allowing you to enjoy great relaxing sea and city views. 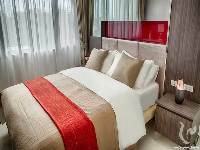 A separated bedroom with a queen size bed, a flat screen TV, a wardrobe and a make-up area will answer all your needs in terms of comfort and privacy. 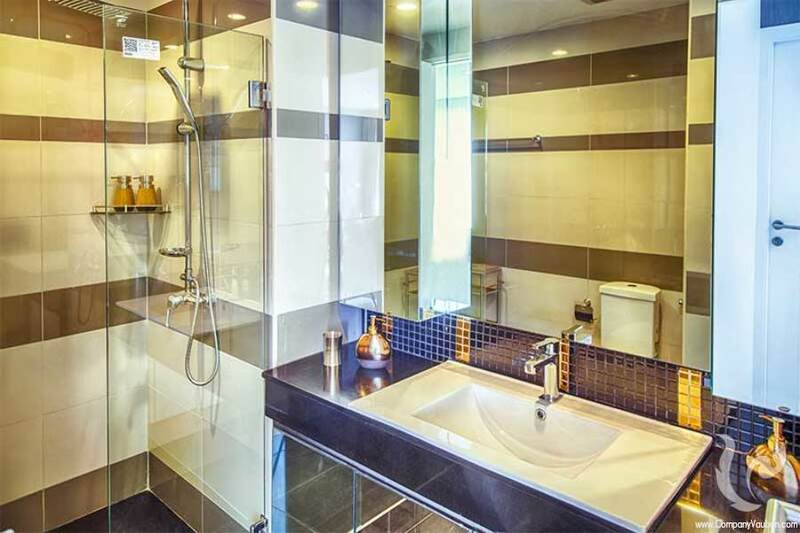 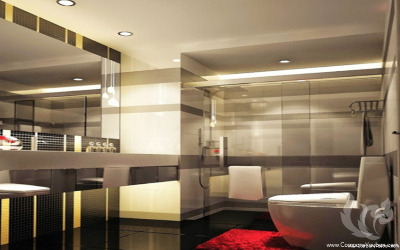 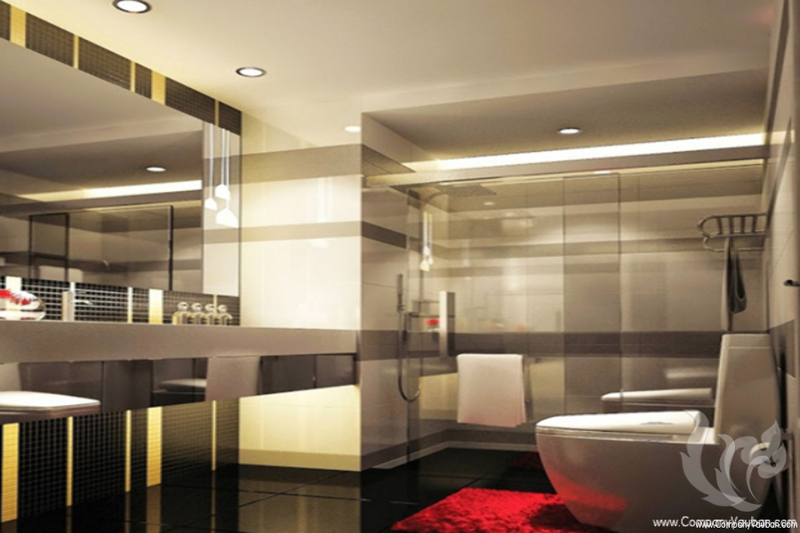 Finally, in the apartment you will also find a well designed bathroom. 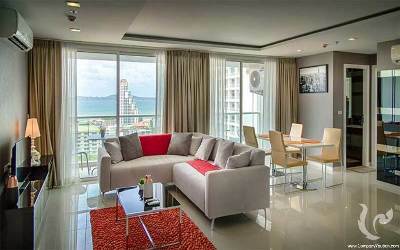 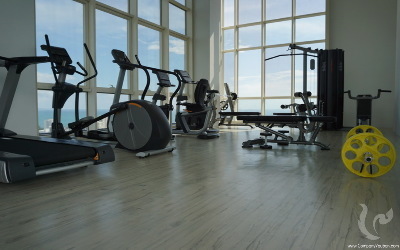 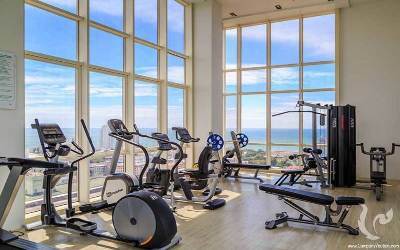 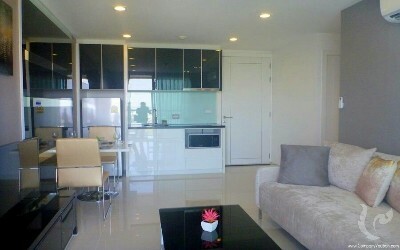 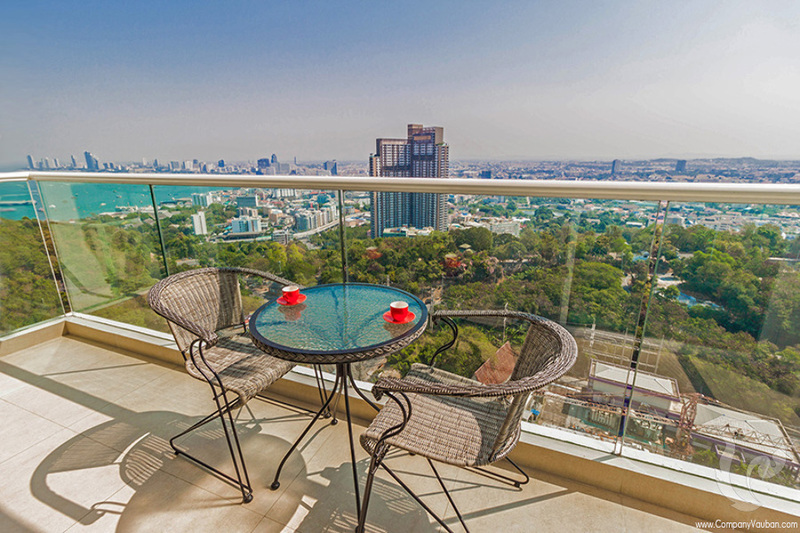 In addition to a comfortable apartment you will have access to a multitude of facilities and services offered in the residence such as an amazing swimming pool located on the 20th floor and offering stunning views on Pattaya Bay and Pattaya City, a fully equipped gym, a parking for cars and motorbike, as well as a 24/7 security service with gatekeepers, CCTV and keycards. 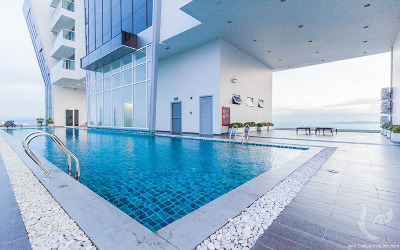 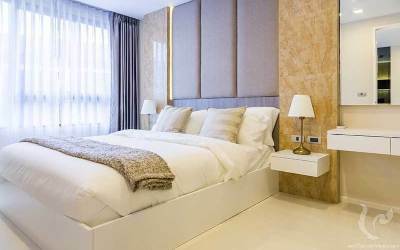 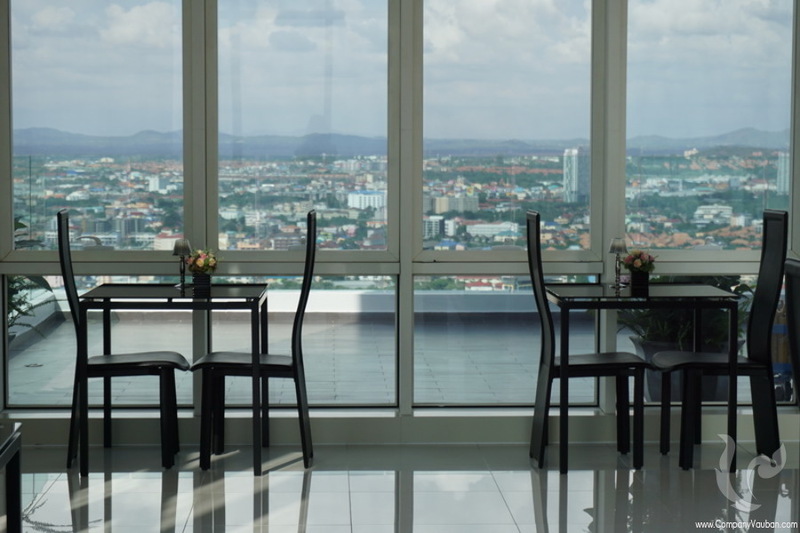 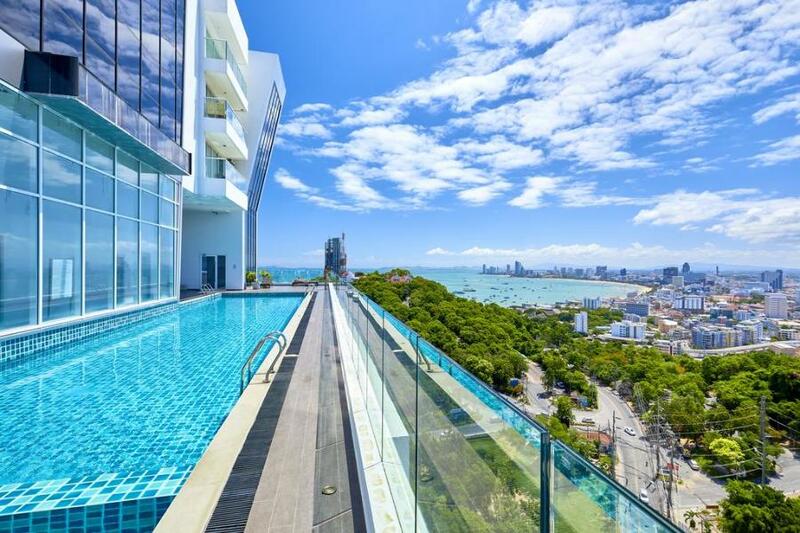 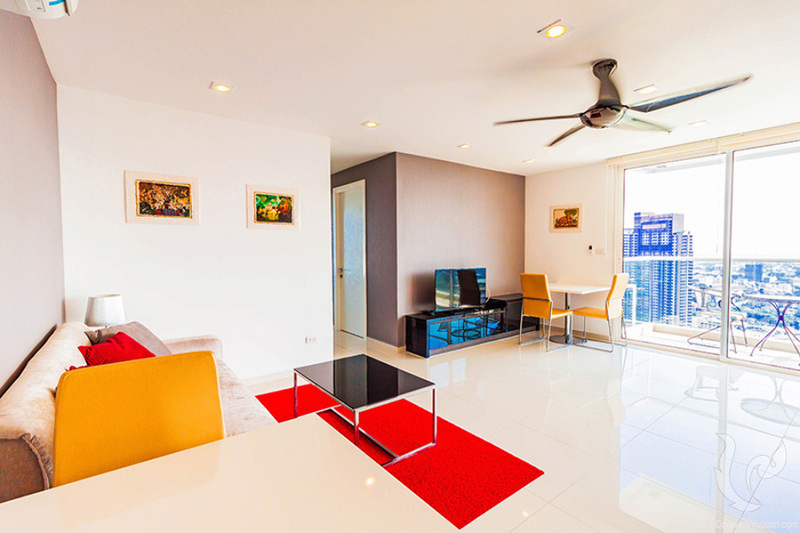 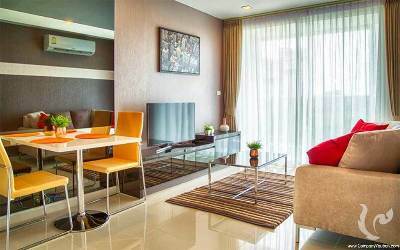 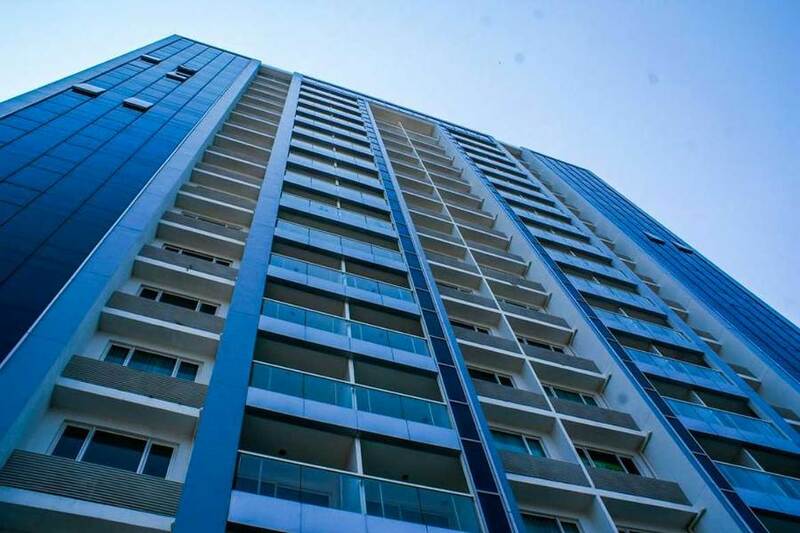 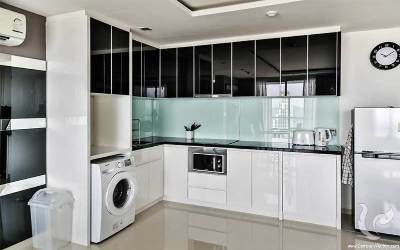 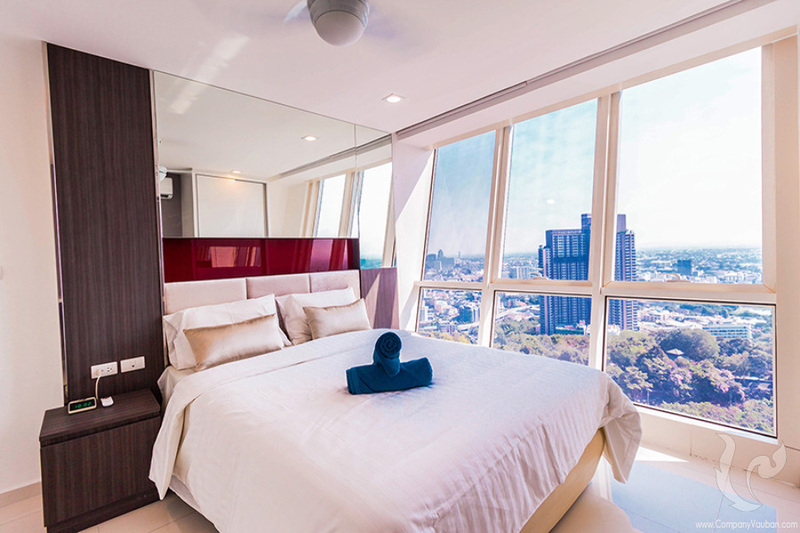 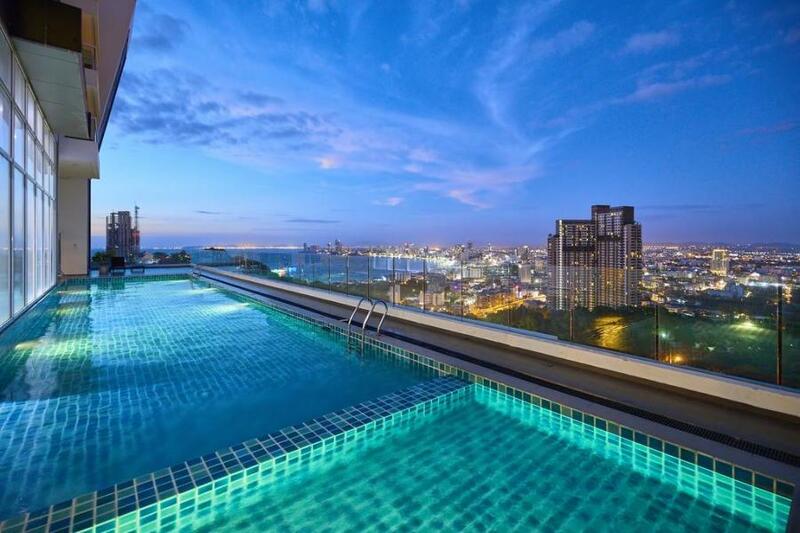 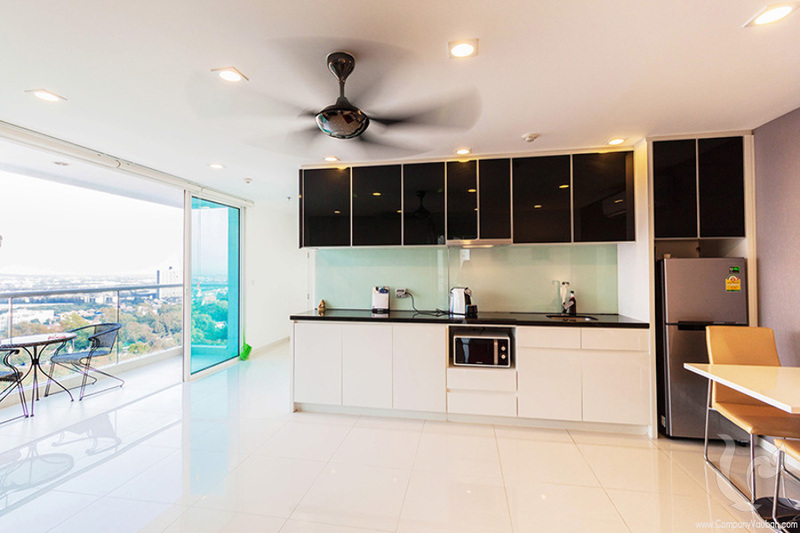 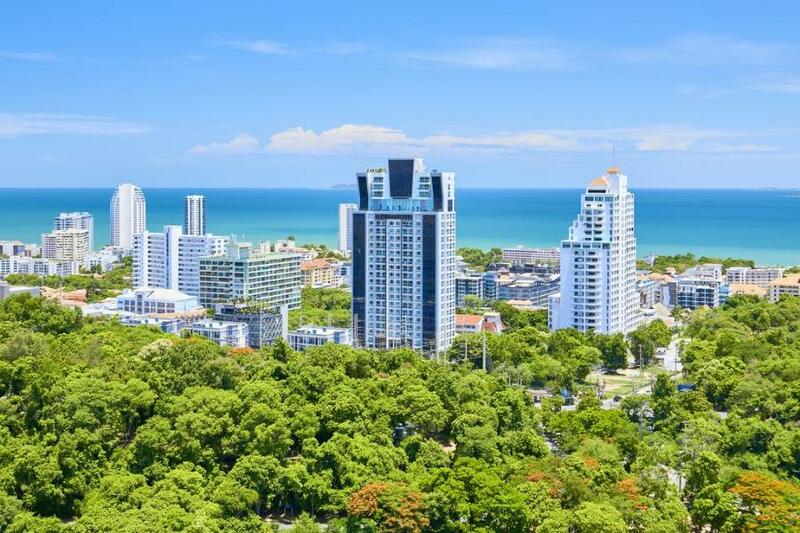 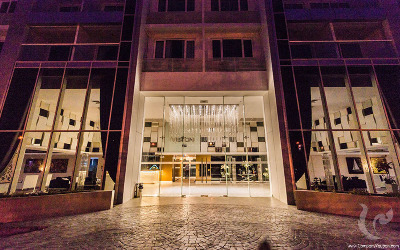 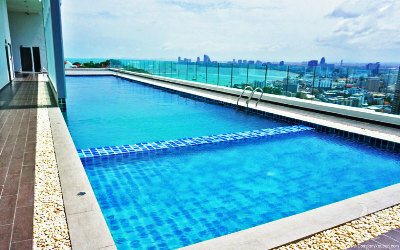 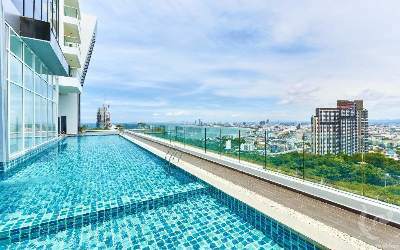 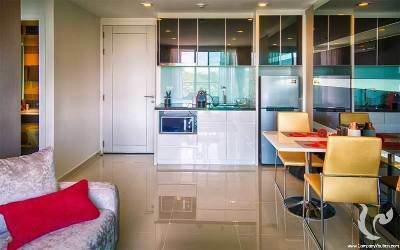 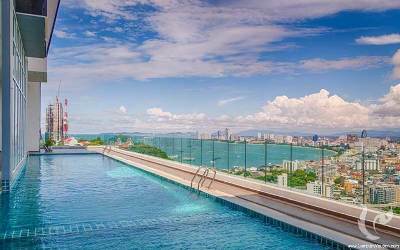 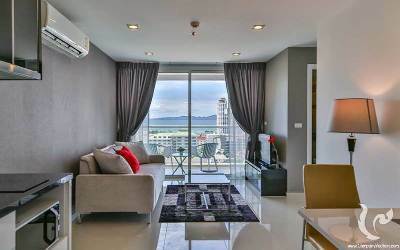 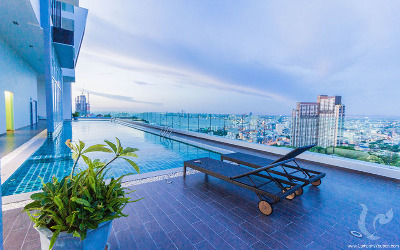 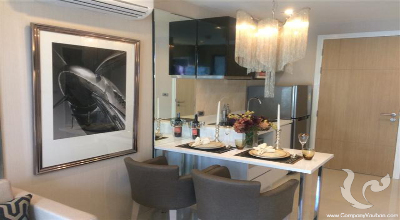 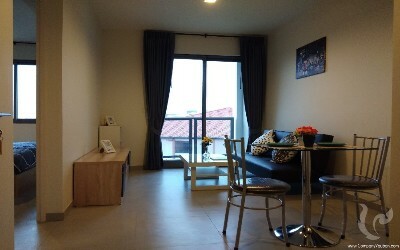 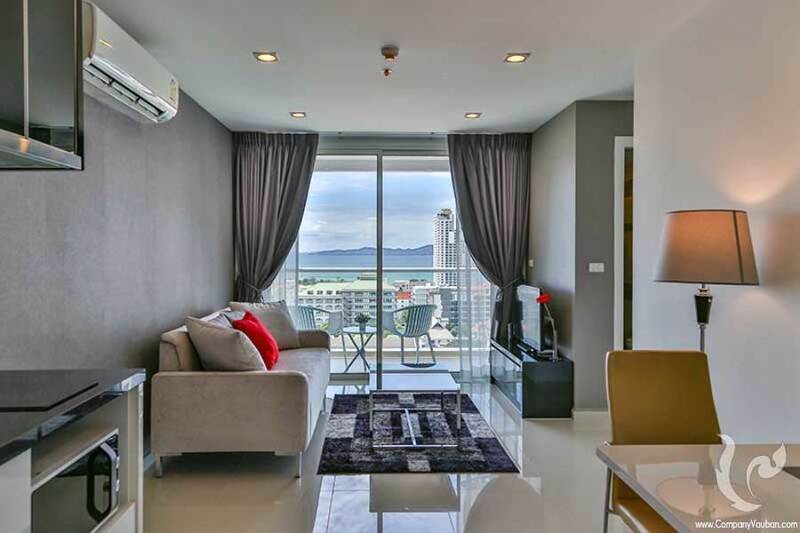 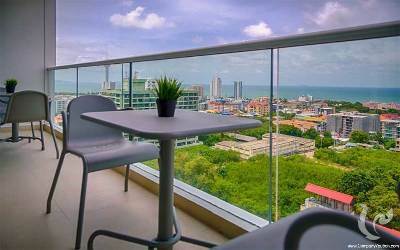 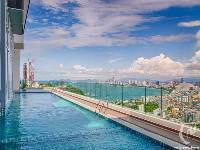 Located on the prestigious Pratumnak Hill, a popular ad well known residential area among tourists and locals, this location is the perfect match for those looking for a convenient place only a few steps away from various beaches and downtown Pattaya. 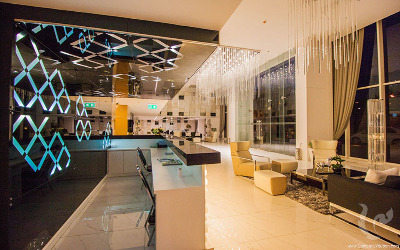 Next to the residence you will also find various grocery stores, restaurants, bars, pharmacies, public transportation, etc.